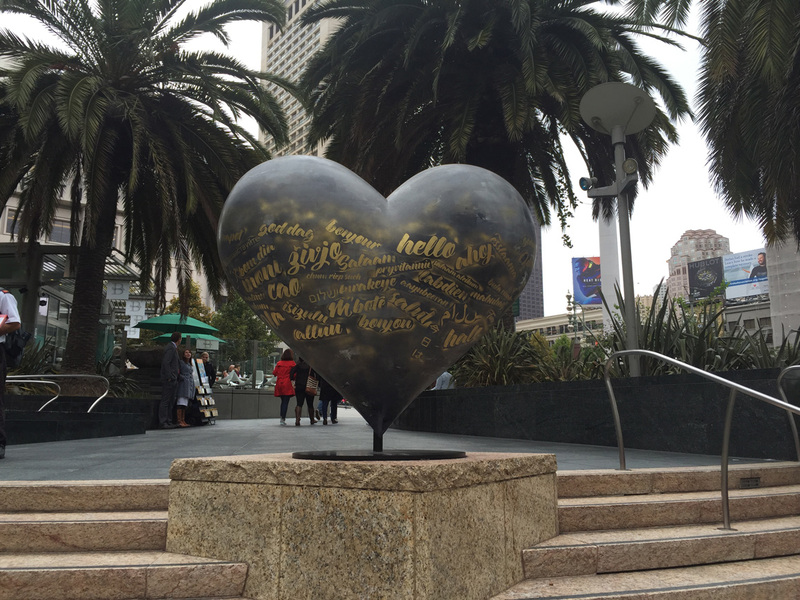 Most people have seen the art heart sculptures in Union Square and other tourist and heavy traffic areas around the City. They weren’t always there and they seem to have multiplied. 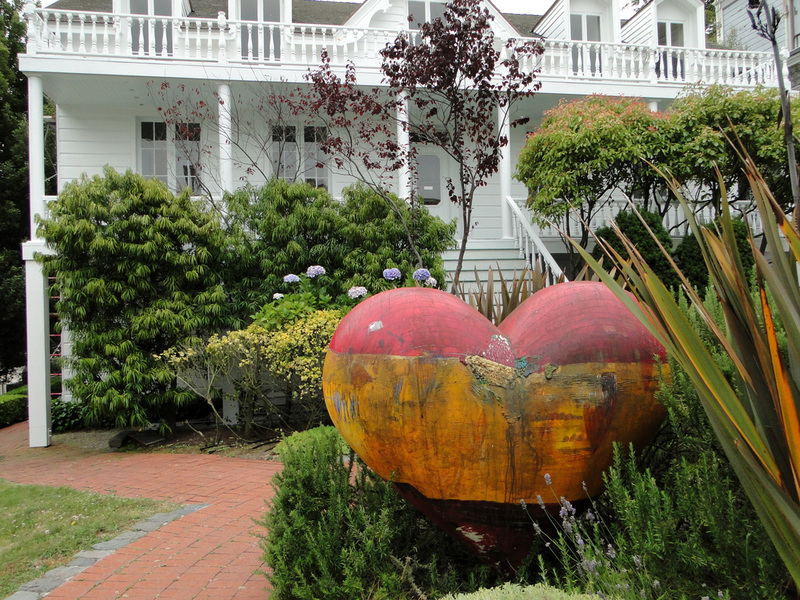 The hearts made their first appearance in the summer of 2004 as part of a public art project fund raiser benefiting the San Francisco General Hospital foundation. 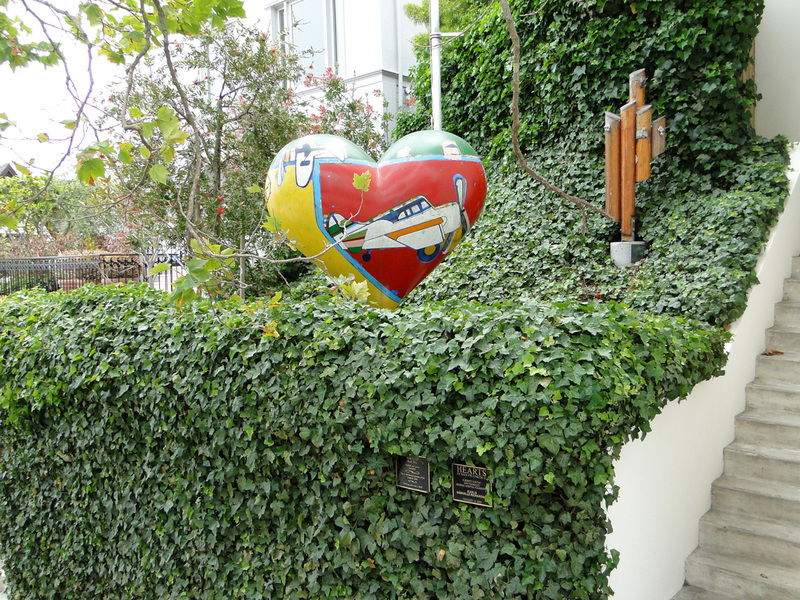 Bay Area artists were solicited to create the art on 131 hearts that were displayed throughout the City for three months. At the end of the period they were auctioned. The project was so successful that San Francisco General Hospital Foundation has continued to hold a yearly Heroes and Hearts event where they showcase and auction off hearts to businesses and individuals. The proceeds go towards research,education and care at the hospital that is open to all. SF General has an Emergency Room and Trauma Center that benefits all of us. As of 2015 297 hearts have been created. You can view most of them with the artist name in the Gallery of Hearts. Out of respect to the owners the location of the hearts are not published. 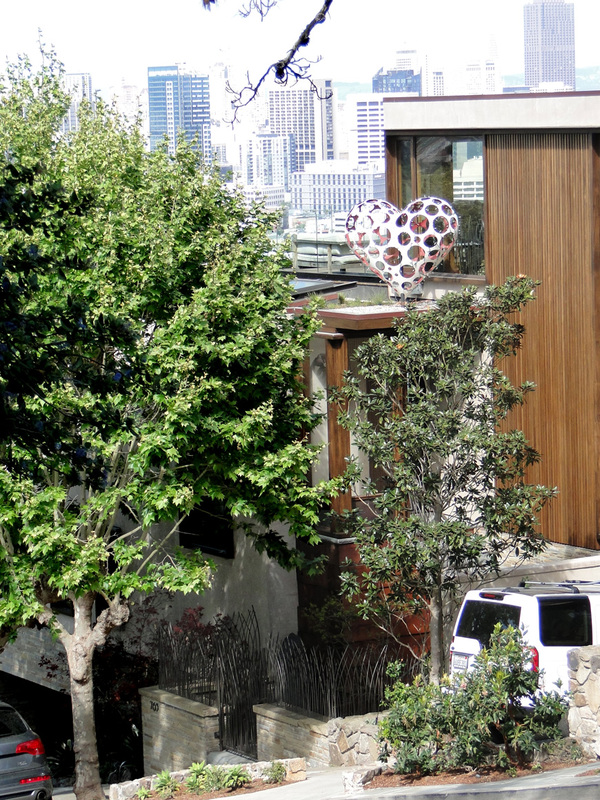 It is always surprising and a delight to find a heart tucked away in unexpected places around the city.